Peter Sprague | Jobim Overthrows the Piano! Greetings Good Folks, Cali is doing it’s amazing late September thing today and that is, endless sun, the perfect temp with a slight breeze and a little swell running out in the wide blue. I had a busy weekend and today is cool ‘cuz I’m catching up on things and getting the propaganda properly dispersed. Here we go! 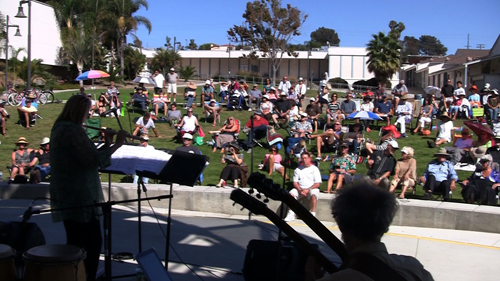 We had a fantastic outdoor concert yesterday at the San Dieguito Academy! Thanks to all that made it out and what a great turnout. For those that didn’t make it, picture a nice big raised cement stage, a green grassy area for folks to sit on, really good sound and some absolute supreme weather to take in a concert. Lou was wailing on the accordion, Monette was radiating on the percussion, Beth was in the stratosphere on the flute, Gunnar holding down the low end on the bass, Coral singing the fantastic stories of the Latin composers, and me on the guitar, digging the whole set-up and loving the music. If you missed it, we’re drumming it up again next Sunday and we’d love you to join us. See below for the details. 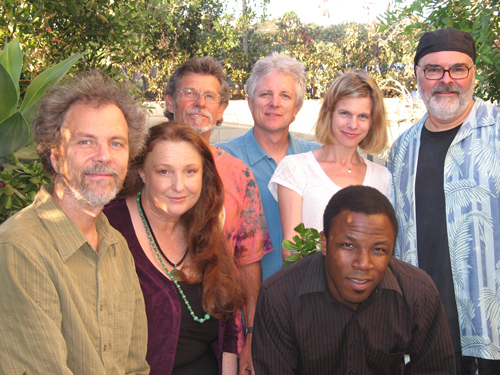 The band with Peter on the left, Coral, Lou, Gunnar, and Monette. Sorry we didn’t get Beth in the picture. 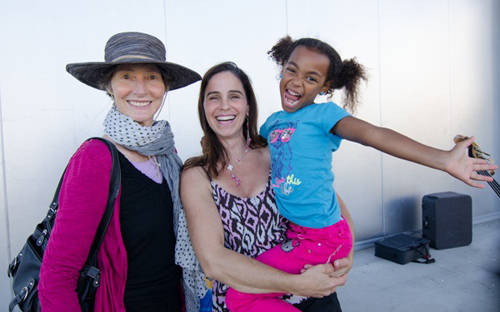 Happy concert people with my wife Stef along with Monette and her cool kid. 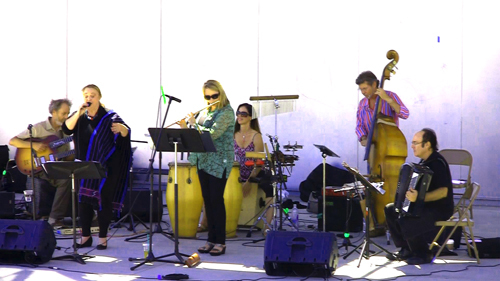 Latin jamming with Peter, Coral, Beth, Monette, Gunnar, and Lou. 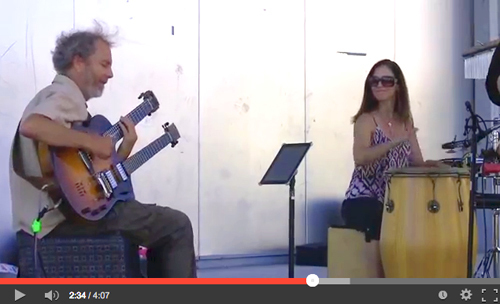 Check out this little video that our pal Steve Grant put together from the concert! We’ve had a little run in the press lately and click here for a Coast News piece about me and the gang putting on the SDA concerts. 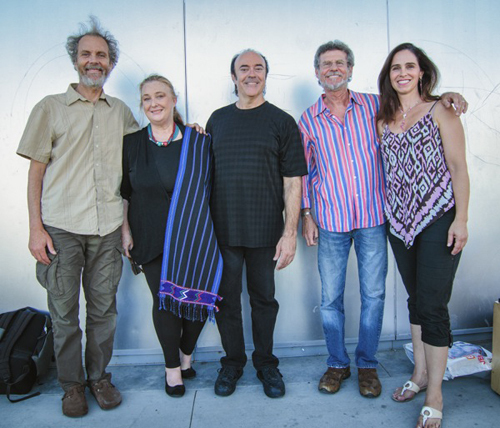 Click here for a little spin in the SD Union Tribune highlighting Beth’s group Camarada concert series including me on one of them. And finally here for a mini rap leading into the Carlsbad Music Festival. 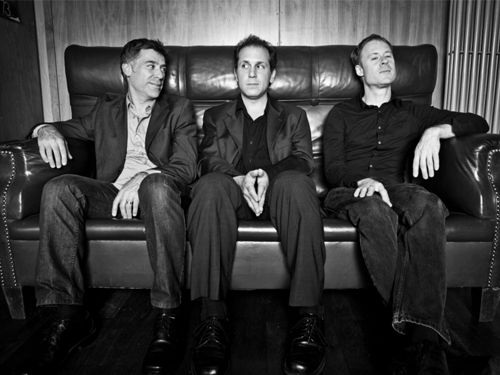 Coming up for this week, I’m heading to the Athenaeum Jazz at the Auditorium at TSRI on Wednesday night to hear the incredible trio of Larry Goldings, Peter Bernstein, and Bill Stuart. This group is one of my favorites and I’ve only heard them on recordings so it’s a special moment for all of us locals to take in their San Diego debut. Larry plays the B3 organ, Peter Bernstein is on guitar, and Bill Stewart plays the drums. The New York Times described Goldings/Bernstein/Stewart simply as “the best organ trio of the last decade” and I’m totally thinking the same thing. They rip, they ballad, they bop! Can’t wait! There are still tickets available and hope to see you there. Click this link for more info. On Friday night I’m teaming up with flute maestro Lori Bell and bassist Bob Magnusson for an intimate concert in La Jolla. This is part of an ongoing series that Lori is heading up and I’m stoked to be in the loop. Lori and I have known each other from way back in the early days and she’s one of my favorites. She’s selected a nice blend of tunes ranging from Metheny to Ralph Towner, to McCoy Tyner to Wes Montgomery, pluse a couple of her originals and even one of mine. Big fun and look below for the concert details. 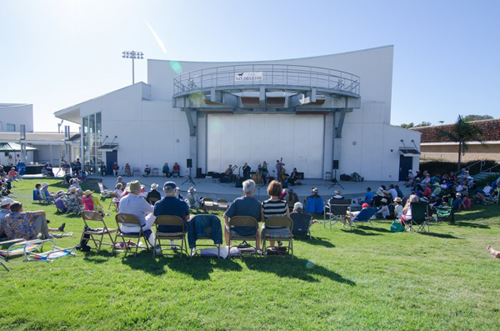 Last up for the week, on Sunday we’re throwing another concert at the San Dieguito Academy outdoor amphitheater. The lean this time is into Brazilian music and we’ve got Kevyn and Leonard on vocals along with Tripp on sax and flute, Gunnar on bass, Duncan on drums, and me on guitar. Songs are by Djavan, Dori Cayami, Edu Lobo, Gilberto Gil and the brand new thing we’re trying out for the first time, an epic Antonios Carlos Jobim medley that I’ve put together. It’s huge, it’s out of control and I can’t wait to hear how it sounds! 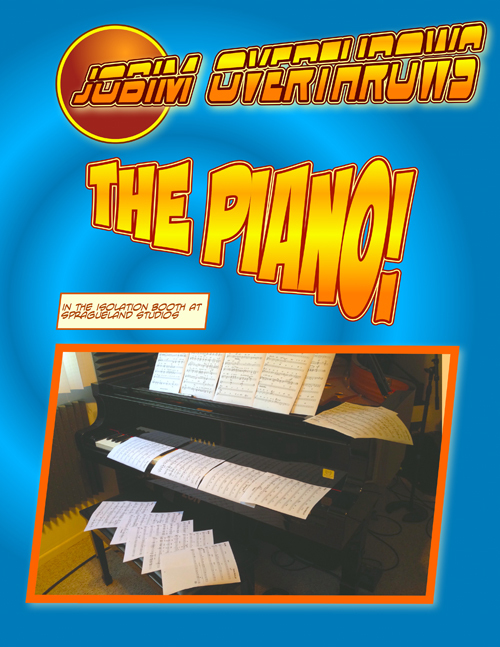 It’s 16 pages and it’s overthrowing the piano. I’ve got transitions, intros, chord substitutions, Kevyn singing, Leonard singing, snippets of one tune leading into another. If for no other reason, come out to hear us possibly crash and burn. Long live Jobim! We hope to see you there and bring a picnic and a chair. The setup is deluxe and I’m thinking it’s a pretty magical way to spend a Sunday afternoon. It’s free too! Brazilian music at SDA with Peter, Coral (although she won’t be on this concert), Gunnar, Tripp, Kevyn, Leonard, and Duncan. That’s it for this week and thanks for reading. For this week, I’m playing a show with Lori Bell on flute and this transports me back to a recording we did together in 1982. My recording The Space Between Two Thoughts is our band Dance of the Universe Orchestra’s second project. A wandering hippie named Jamil Soorami came into the gig one night and gave me a poem called Dance of the Universe. I think it was a coincidence, in other words, I think he had written the poem before meeting us and when he heard our band, he flipped out and figured we ought to have his poem. I put music to it and this along with the epic The Space Between Two Thoughts composition rocketed our group of young musos off into thin air. It’s a wild tune that goes to a bunch of different places and I love the “chant” section where Ron Satterfield goes stellar! 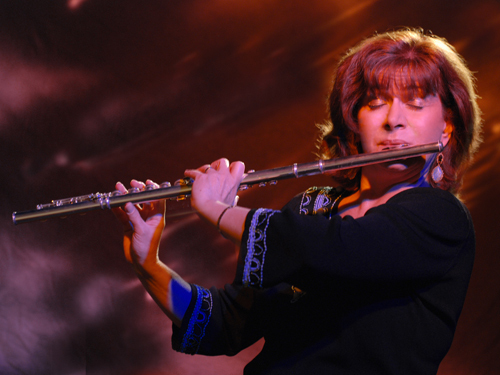 And this whole ride evaporates into the gentle bliss of Lori’s flute playing Eric Satie’s “Gymnopedie.” Check it out! and you can see she’s playing around a lot. Great muso and great sound!